Celestine North lives a perfect life. She's a model daughter and sister, she's well-liked by her classmate and teaches and she's acting the impossibly charming Art Crevan. But then Celestine encounters a situation in which she amens an instinctive decision. She breaks a rule and now faces life-changing repercussions. She could be imprisoned. She could be branded. She could be found FLAWED. So I bought this book in hopes that if I got the second book from Jonathan Ball Publishing then I would be prepared to marathon the two books. Fortunately I did get the second book and now I can seriously not wait to jump into this book. 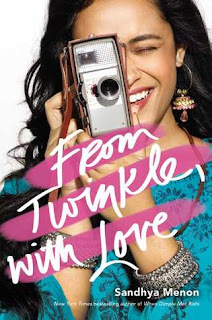 One of my bookish friends, Amy, really liked this book and has convinced me to pick it up as soon as I can. I have never read one of Ahern's books before but I am excited for this one to be my first! Not only is the premise interesting but it is also promising! I cannot wait! I guess here goes nothing right? This is my first ever Ahern book and honestly I loved the writing style. Her writing style matched her character's personality. The writing had a very straight forward flow to it and was so enticing. There was enough detail for me to able to picture the family and the world created by Ahern. Her writing has probably impacted me the most this year. She made me feel a lot of emotions through her writing and she left me astounded. 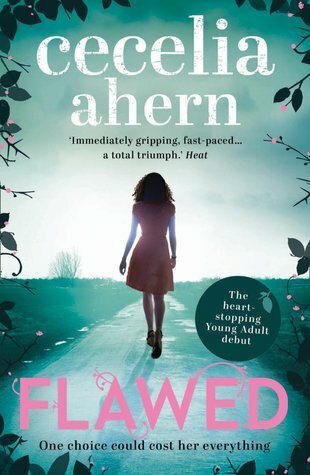 The plot was predictable in some cases but then there were moments where it was completely unpredictable and it seemed as if Ahern let her characters take the wheel. It was brilliant. I couldn't put this book down because I just had to know more. I had to know what was going to happen to Celestine. It was as if this book just refused to let me go. I was constantly being surprised and honestly it was so refreshing. Celestine is a very logical person. Because the book was written in first perspective, as the readers, we got to see how her brain worked. We could see the cogs turning and how her social brain couldn't make sense of a situation that should have been obvious to all those around her. I absolutely loved her character. And I am so glad that I got to read from her perspective. Overall, this book was incredible. It has been two days since I have finished this book and I just can't seem to forget about it. It is probably my favourite read of the year so far. I am gobsmacked and I couldn't be happier. Ahern has written, what I would consider, a master piece. I may not have read any of her books before, but if her books contain the same type of complexity as this book, then you can bet your little toe that I will be reading more of her work. This was probably one of the best introductions to an author I have ever had. I cannot wait to get into the second book. If you have yet to pick this book up, I highly recommend that you do so. It is something that you won't forget irregardless of whether you like it or not. Because there are some things that you cannot unsee.